Put some focus on your credit score - If you don’t know what your credit report looks like, it’s time to change that in 2016. Review it to ensure that it is accurate and up-to-date, and monitor it periodically to make sure there are no errors. 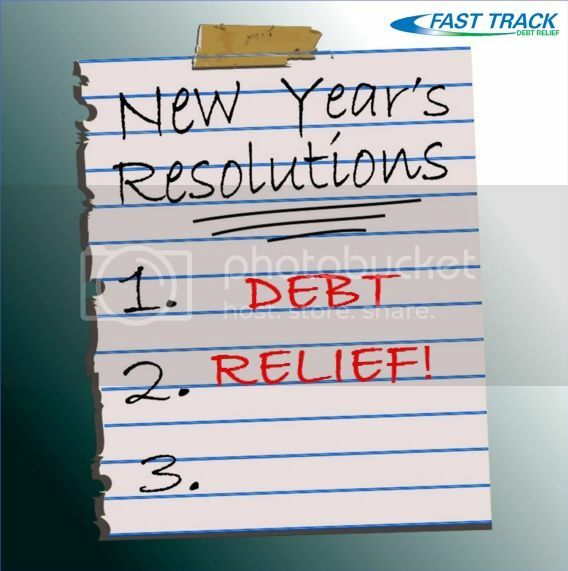 Improve your credit score - Another great resolution for 2016 is to improve your credit score. You can do this by paying off a debt or paying late fees, removing errors on your credit report, and avoiding new credit purchases and applications. Make better financial choices and use your credit wisely - Another key component in seeking debt relief is changing the way you handle purchases. Don’t buy things you can’t afford, and focus on living within your means. Use your credit wisely and for the purchases that are truly necessary. Over time, you’ll develop better spending habits that will only help you in your quest for debt-free living. Pay less interest and eliminate late fees - Paying additional money on top of what you already owe is the worst. Take steps to reduce that amount by negotiating lower interest rates with your creditors (some debt consolidation programs will help you with this), and avoid late fees by setting up reminders for yourself so you know when a bill is due. Now is the perfect time to take a good, long look at your financial future. Are you where you want to be? If you’re not, make some resolutions to change your situations, and contact us to see how we can help you succeed on the path to debt-free living.